Swerve created a new brand identity and packaging for the Bernzomatic Trailblazer line of torches by focusing on the campfire experience and the great outdoors. 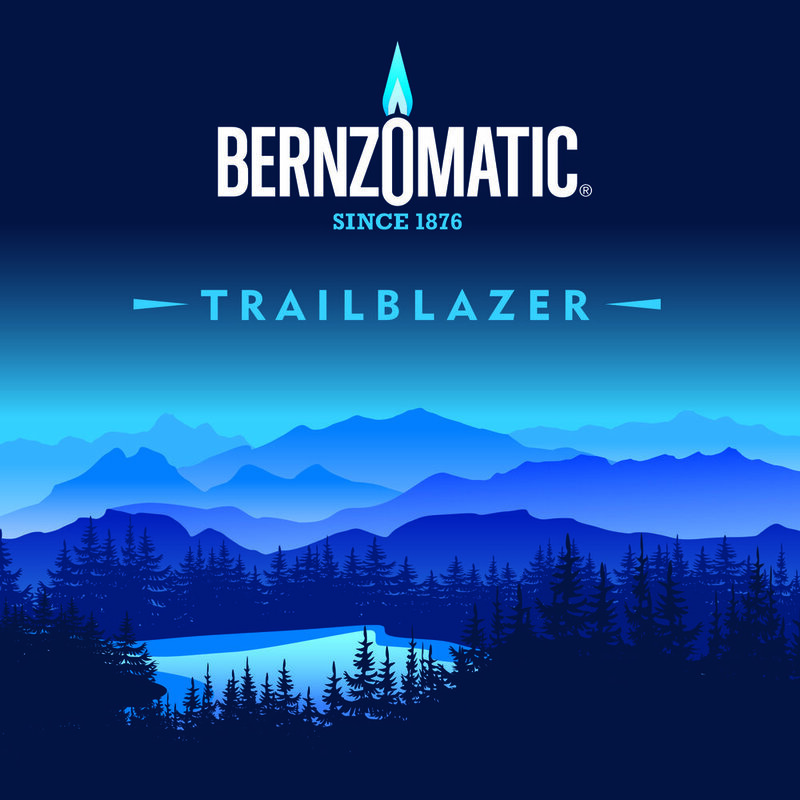 The Trailblazer campfire torches represent a bold new line for the Bernzomatic brand, one deeply focused on making the most of our time around the campfire, enjoying that twilight moment with friends and family. We created a set of imagery which brings together the compelling elements of this moment - the dreamlike experience as the light disappears below the horizon, with a roaring campfire to gather around. We used this experience as the launch pad for the brand work. Creating a set of twighlight scenes, layered with the Bernzomatic blues, and then constructing a set of foreground scenes with varying campfires showing the respective strengths of the torches, combining the magical with the dreamlike. Along with creating the branding and imagery, Swerve developed physical packaging, along with a unique Trailblazer field Guide, included in every pack, as an aid to ensuring that every campfire can be built and enjoyed successfully and safely. After all, what would night-time in the outdoors be without the original experience of gathering around a roaring campfire and sharing the stories of the day.